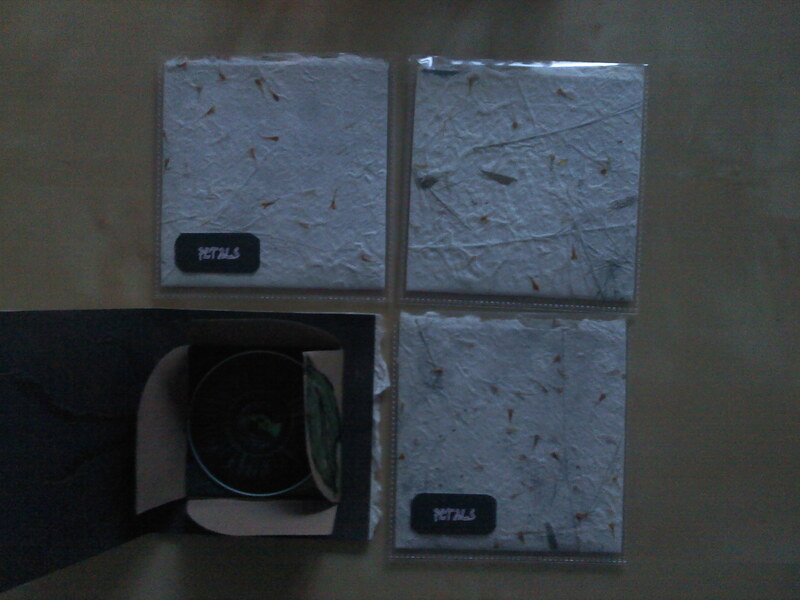 A new 3″ cdr, ‘Masked out’, by petals has just been released by the ever immense Striate Cortex. Gorgeous multi-layered and textured packaging with hand painted elements and printed inserted. All of this conceals the treated acoustic drones that were produced from a ukulele and violin and some tapes of reeds. Solemn stuff for sure, and as librarians discovered today, good for keeping people away from you too. I’m up for trades on the copies that I have, or you can paypal me at kevinjsanders@gmail.com. just seen this .. cheers for the support ..